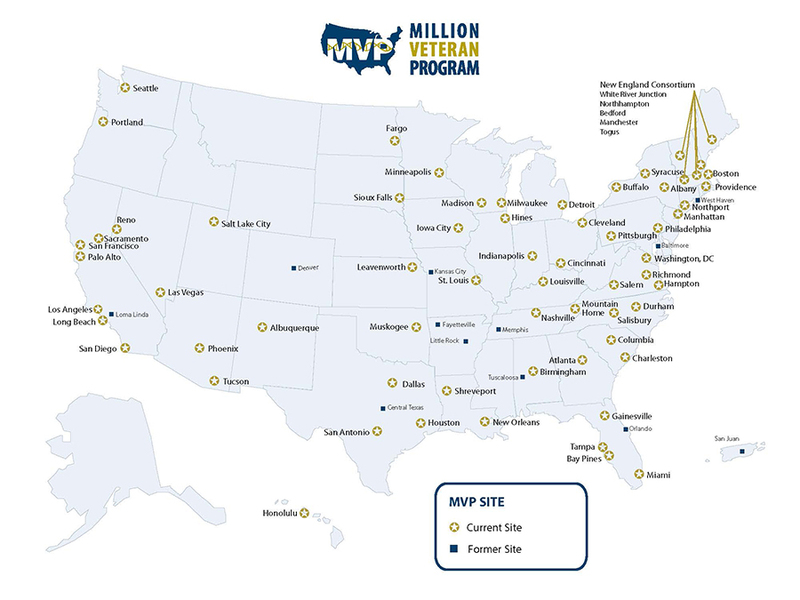 Look on the map to find the nearest MVP site to your home, then click on the city to find specific directions to the MVP Clinic. If you do not see a city near you, please visit us again for updates as we will be launching more MVP sites in the near future. Please check this website or call the MVP Information Center below for updates on enrollment re-opening. PLEASE DO NOT INCLUDE your SSN or other private information in your email correspondence. Satellite Clinics and Community Based Outpatient Clinics: Please call the MVP Information Center toll-free at 866-441-6075 to obtain information on enrolling Satellite Clinics and Community Based Outpatient Clinics.